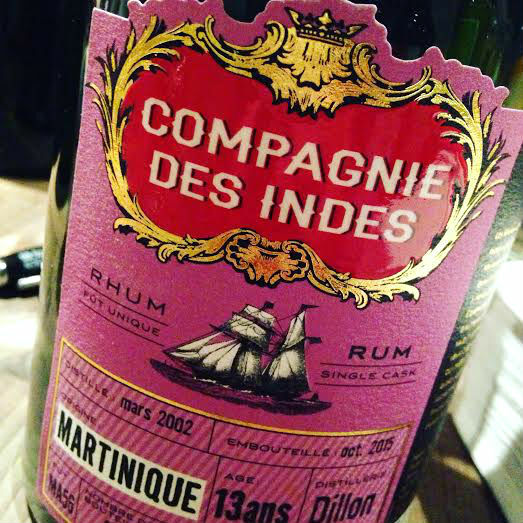 Compagnie des Indes is a French independent bottler which was founded by Florent Beuchet has a solid wine and spirits background since he comes from a family of wine makers in Burgundy in France, so he naturally started with wine education and tastings and then travelled to the US and worked for Banks Rum in NYC as their Brand Ambassador for 2 years before starting his own brand Compagnie des Indes in 2014. 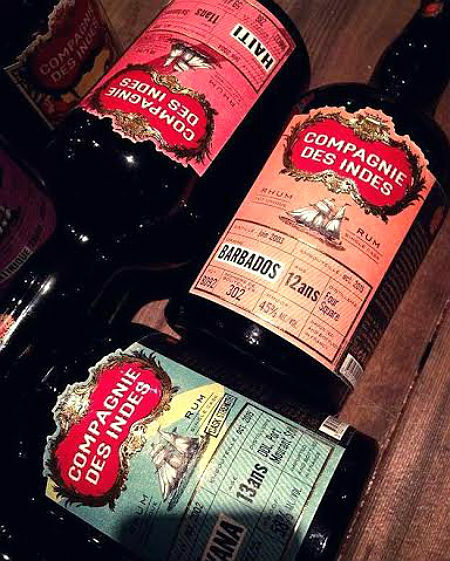 The idea behind Compagnie des Indes is to bring authentic rum from many regions with both blends of different countries as well as one origins and single casks showing the genuine character of the rums from each region. 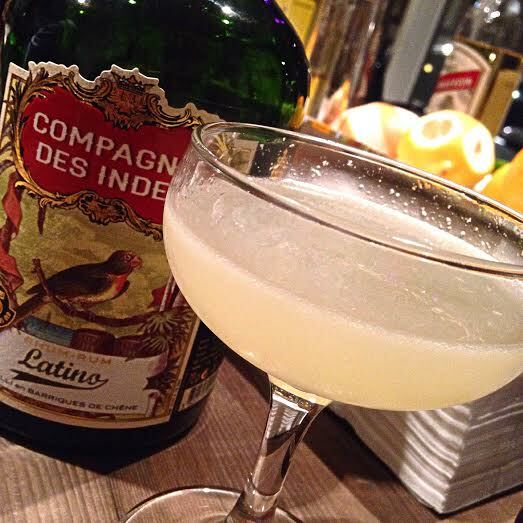 The name Compagnie des Indes pays hommage and bring memories from days past when merchants from the East India Companies travelled to bring back precious and exotic goods from far away places. 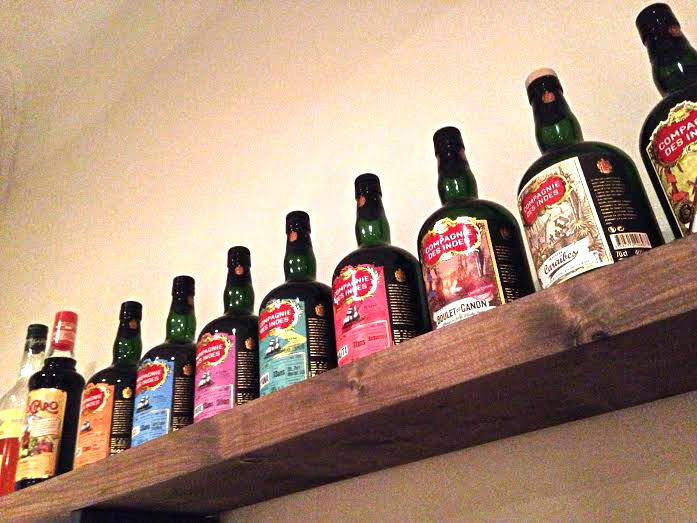 And in like manner Florent brings rums distinct to each region to us. There´s a commitment to transpareny clearly stating on each label exactly what the bottle contains as well as the name of the distillery, bottling date, number etc – I want to se more of this! 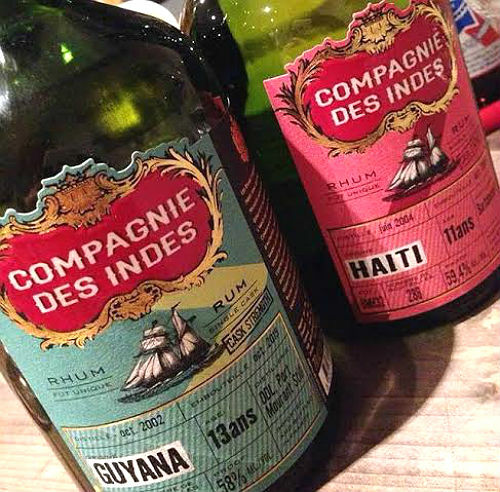 Recently there were two tastings here with rums from Compagnie des Indes, both mixed in cocktails and neat. The range was nine different rums whereof five were single casks. Some rums were also at cask strength. 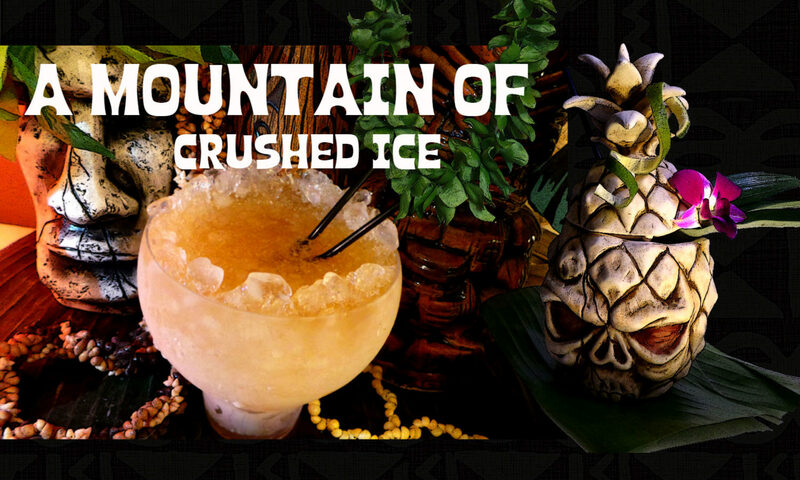 In cocktails the rums are really nice, they mix very well but they also sip very well so they are versatile. These are generally drier style of rums with no sugar or anything added except for a very few which has a lower amount of sugar or caramel but Florian is all transparent about it and from this upcoming year there will be no more caramel added. 1 – Caraibe – A blend of rums from Barbados (mostly Foursquare) 25%, Trinidad 50% and Guyana 25% Aged for between three and five years in American white oak, distilled in column stills, no age statement. 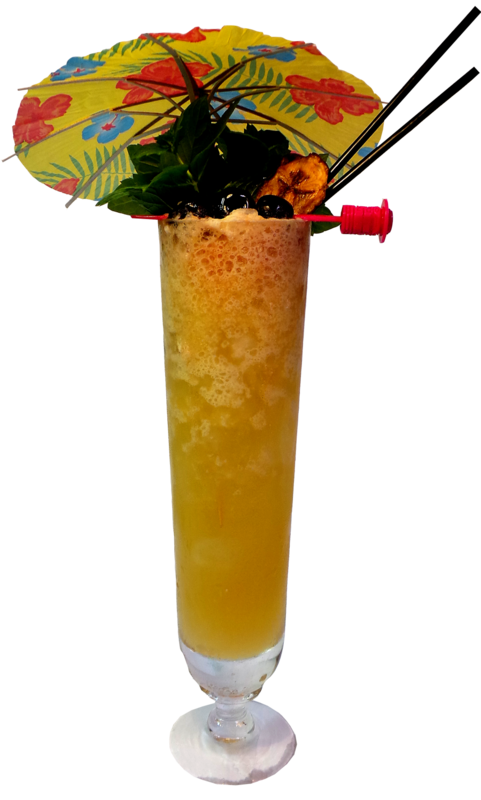 This rum is fruity and complex with hints of apricot, peaches and vanilla with a little peppery touch. 2 – Latino – the second of the blends, contains 60% rum from the Industrias Licoreras de Guatemala (who makes Botran and Zacapa) and then 40% Caraibe. It`s a light type of rum, typical for the Spanish types of rum or ron with caramel, toffee and vanilla aromas and a “coffee bean” like finish. Aged 5 years in American white oak. 3 – St Lucia – 13 years single cask, 43% This is a 100% pot still rum using molasses from Guyana. No additives except water. Spicy, warm and woody with a nice fruity finish. 4 – Martinique – 13 years single cask 44% from the Dillon distillery. No additives except water. Has been aged in the “more spicy” french oak, with more dryness and touch of smoke. This is a rhum agricole that is a bit less grassy on the notes than what we usually see with an elegant fruity flavor of ripe tropical fruits. 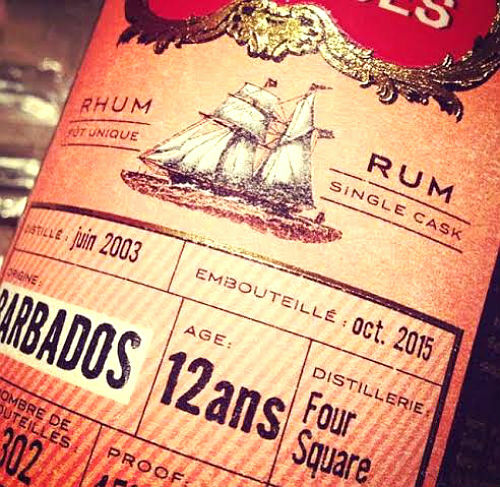 5 – Barbados 12 year old – pot and column still rum from Foursquare. This rum surprised me with very clear notes of the same flavors as I have encountered in the rums from St Nicholas Abbey. Now that in intself is actually not surprising since Richard Seale and Foursquare have made all the St Nicholas Abbey´s rums except for their latest 5 year old expression. But this is still the first rum I try apart from the very SNA rums that has those flavor notes, interesting….and of course – very nice aromas! kudos to Foursquare! and of course – No additives what so ever. 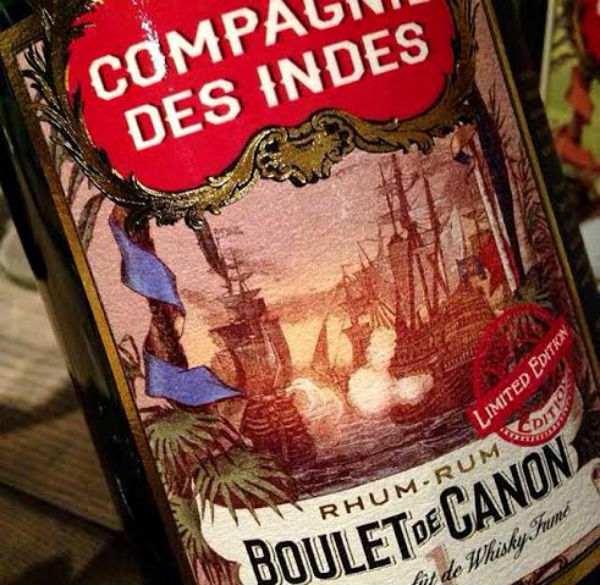 6 – Boulet de Canon n1 – A limited edition of rum aged in islay whiskey barrels. A refined blend of the Caraibe with 5 yrs rums from Trinidad, Barbados and Guyana, finished in an Islay whisky barrel for 8 months. Has an elegant touch of smoke and a nice finish. Boulet n2 is coming later this year and will be aged in peated whiskey barrels. 7 – Jamaica – 5 years, Navy Strength 57% Worthy Park, Monymusk, Hampden and then, a secret Jamaican distillery makes up this expression. Very nice and flavorful and smooth in regard to it´s proof. No added sugar or caramel colouring. One of my favorites in this bunch! 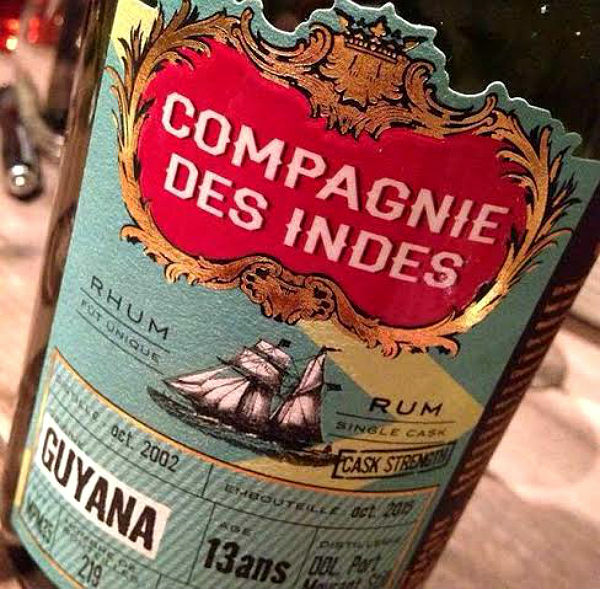 9 – Guyana – And the last one, a demerara…(Port Mourant) Very nice and flavorful – but not heavy to my surprise since it´s a cask a strength rum at 58%. 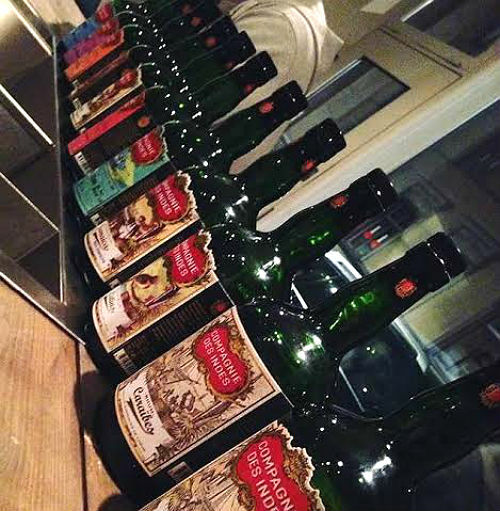 There´s many more rums than these by Compagine des Indes, and especially interesting are a range of very attractive cask strength rums available only in Denmark. 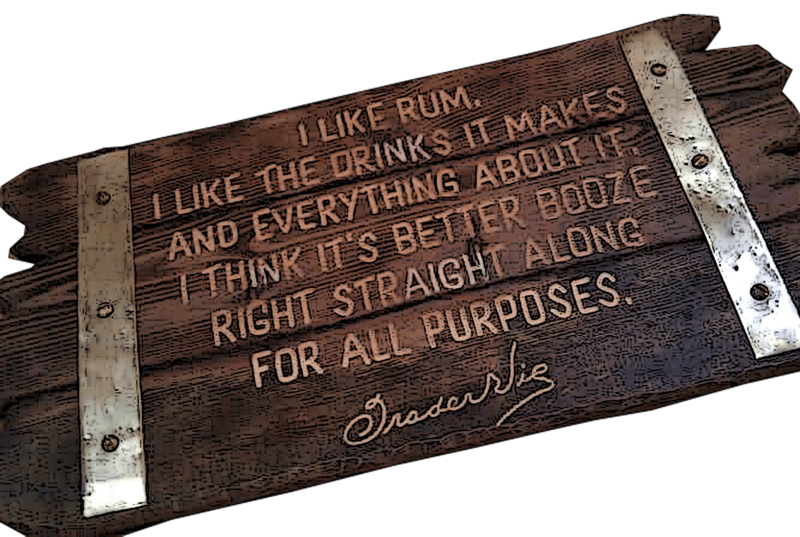 This is a rum company issuing very nice expressions where many are single casks and many also interesting cask strength rums and most without any added sugar (and if they have some – it is stated clearly on the label) so these rums are worthy to look out for. One last thing, I think the labels are absolutely gorgeous! !